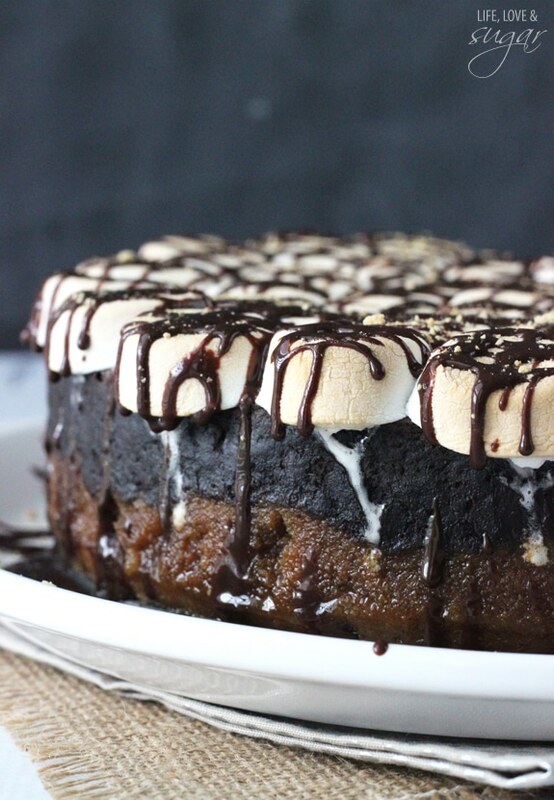 Trust me when I tell you that you want to make this Smores Cheesecake. 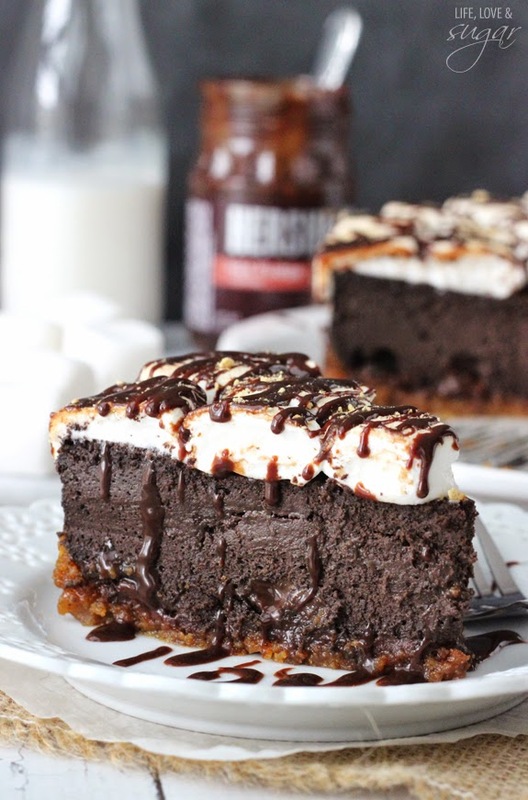 The combination of thick and creamy chocolate cheesecake, melty toasted marshmallows and graham cracker crust is totally to die for and the perfect summer dessert! 2. 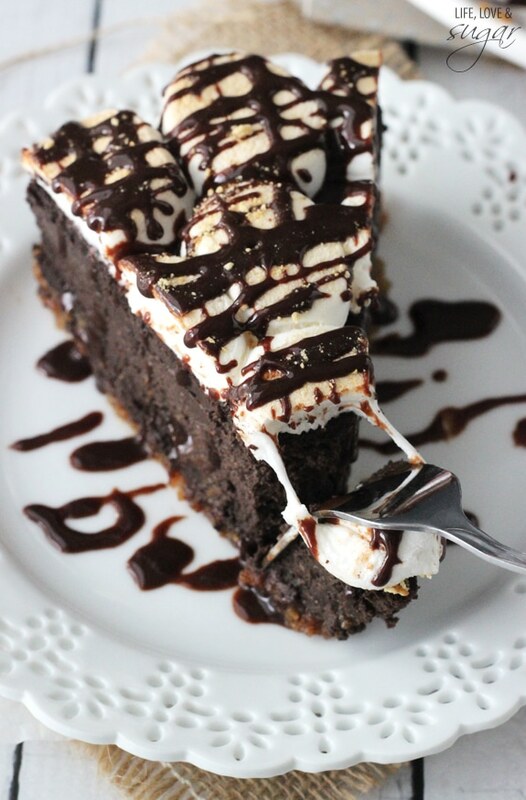 In a large bowl, blend the cream cheese, sugar, flour and cocoa with an electric mixer until combined (Use low speed to keep less air from getting into the batter, which can cause cracks). Scrape down the sides of the bowl. 5. 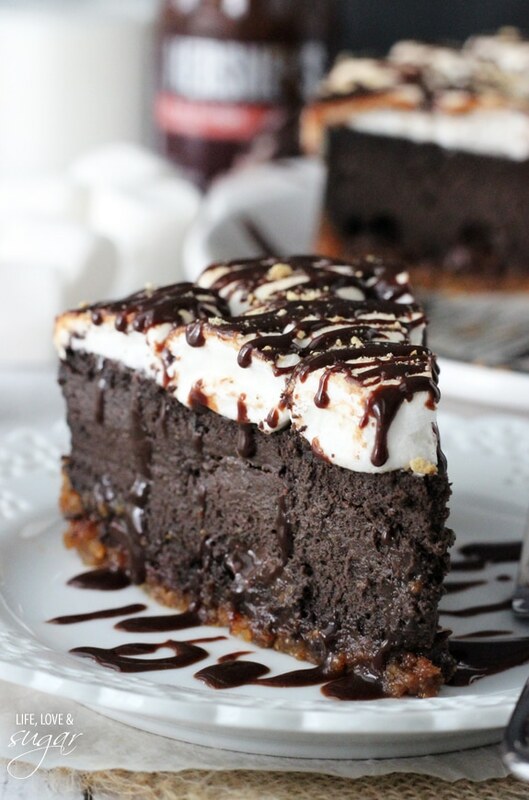 Add marshmallows in an even layer in the bottom of the pan, on top of crust. 6. 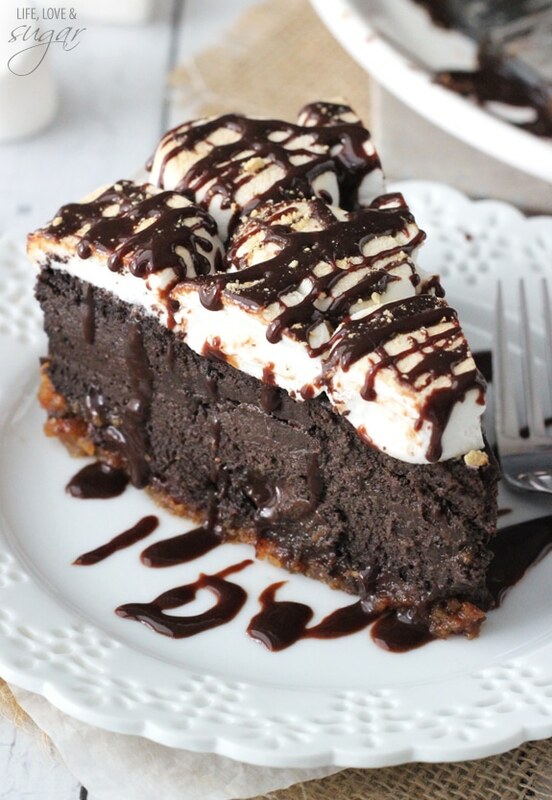 Pour hot fudge topping over marshmallows. 7. Pour the cheesecake filling into the pan. 8. Place springform pan inside another pan. Fill outside pan with enough warm water to go about halfway up the sides of the springform pan. The water should not go above the top edge of the aluminum foil on the springform pan. 9. Bake for 1 hour and 35 minutes. Marshmallows may boil up through the top. 10. Turn off heat and leave cheesecake in oven with door closed for 20 minutes. 11. Crack oven door and leave the cheesecake in the oven for another 20 minutes or until set. 12. Remove from oven and chill. 13. Once completely chilled, preheat oven to 350 degrees on convection bake. 14. 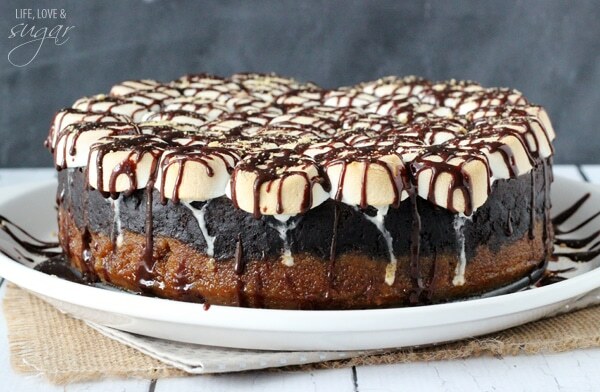 Remove springform pan sides from cheesecake and place cheesecake on a cookie sheet. 15. 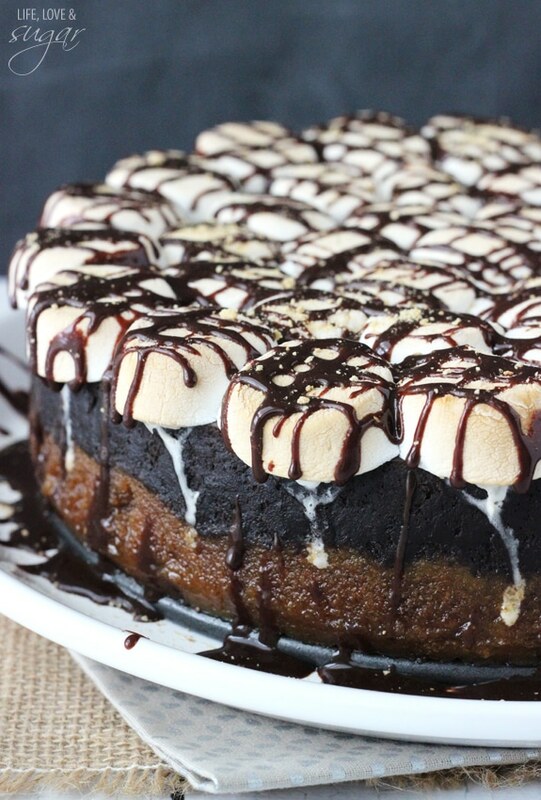 Top cheesecake with a layer of marshmallows. 16. 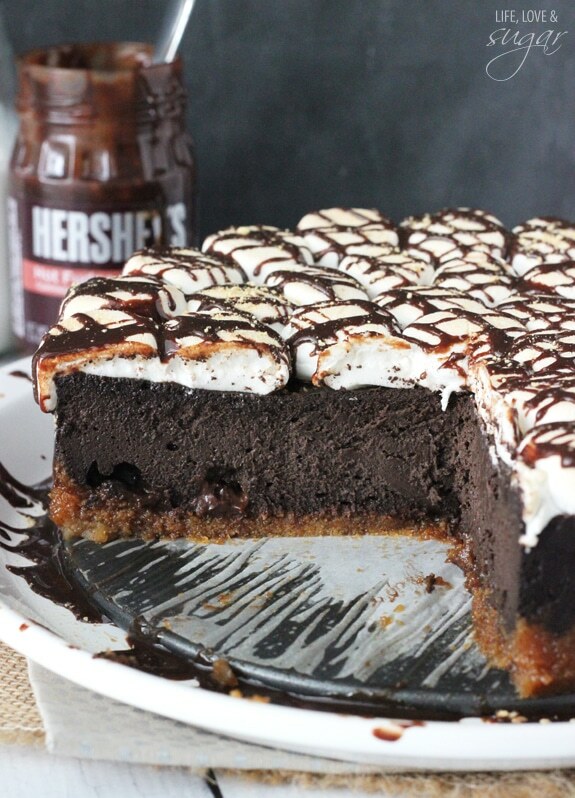 Bake for about 10-12 minutes, or until marshmallows begin to brown. 17. 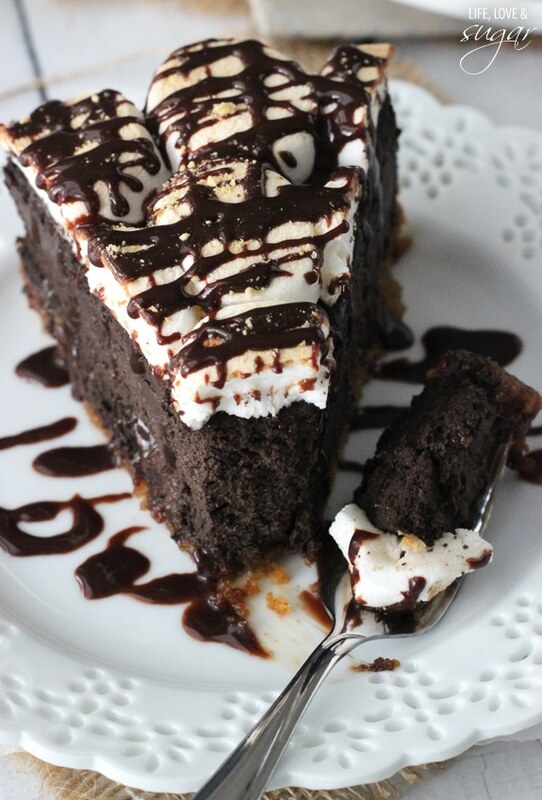 Remove cheesecake from oven and drizzle with more hot fudge and graham cracker crumbs. 18. Cheesecake can be served warm out of the oven (which I recommend), or refrigerated and served cold.